To gather standardized information about current practices and doctors’ opinions on preoperative hair removal (PHR) from the surgical site and to evaluate the extent of PHR as one of the elements of enhanced recovery after surgery (ERAS) pathways that is established in the clinical routine in gynecology and gynecology–oncology departments in Germany. We performed a nationwide survey among 638 primary, secondary and tertiary health care gynecological departments in Germany. Data were obtained by sending a multiple-choice questionnaire about preoperative management of hair removal. The authors also evaluated the awareness of doctors regarding PHR as well as the method and time frames of PHR. The results were compared to the existing standard of procedure (SOP) and guidelines. 148 units (23.2%) took part in the survey; participants in the survey were mostly chief physicians in 47.3% of the cases. Half (50.7%) of all the responses came from certified gynecological cancer centers. A SOP regarding PHR was reported as present in 113 clinics (76.4%). 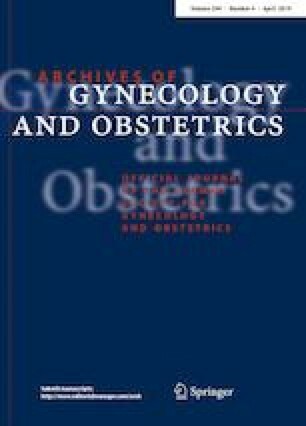 83.8% of all units are performing PHR for midline laparotomy, 52.7% in laparoscopic operations, and 45.3% in vaginal operations. 48% used a clipper, while 43.2% utilized a single-use razor. 56.1% shaved instantly before the operation, whereas 35.8% did it the day before and earlier. 40.3% of chief physicians believe that PHR causes more surgical site infections (SSI) compared to only 11.5% of junior doctors. PHR in gynecological departments in Germany is performed very heterogeneously and SOPs are often not based on guidelines and ERAS principles. Around one-third of the German gynecological clinics keep strictly to the guidelines. The awareness on PHR and SSI among junior doctors is very low. NOGGO-AGO, Nord-Ostdeutsche Gesellschaft für Gynäkologische Onkologie-Arbeitsgemeinschaft Gynäkologische Onkologie (North-Eastern-German Society of Gynaecological Oncology- Society of Gynecological Oncology). HP and JS conceived the presented idea, developed the theory and performed the computations. AT verified the analytical methods. MB and HV encouraged HP to investigate “SurveyMonkey” as an online tool and supervised the findings of this work. All authors discussed the results and contributed to the final manuscript. HP carried out the project. HP wrote the manuscript with support from ER, MB and HV. JS supervised the project. KP helped supervise the project. AT developed the theoretical formalism, performed the analytic calculations and performed the numerical simulations. All authors provided critical feedback and helped shape the research, analysis and manuscript. HP, MB and HV designed the model and the computational framework and analyzed the data. AT performed the calculations. No financial or personal conflict of interest by any of the authors to declare.